Music lovers can court their sweethearts with musical trips over the rainbow and across the ivories. Fans of the cinema and of concertos can click their heels together and head to the Miller Theater this month for a pair of performances by Augusta Symphony. 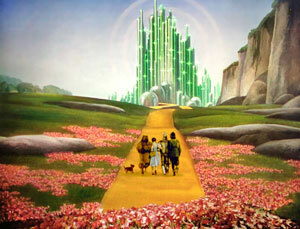 To celebrate with valentines of all ages, music and movie aficionados can watch a screening of The Wizard of Oz on February 14, as the symphony plays the live musical score from the film. Music Director Dirk Meyer will lead the orchestra in Harold Arlen’s score from the movie, which is celebrating its 80th anniversary this year, as Dorothy, the Scarecrow, the Tin Man and the Cowardly Lion make their way to the Emerald City. Ticket prices range from $36 – $100. On Saturday, February 23, the symphony will perform “Mentors” with Meyer and Alon Goldstein on piano. 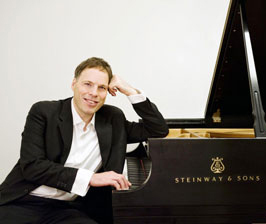 Goldstein’s artistic vision and innovative programming have made him a favorite with audiences and critics alike throughout the United States, Europe and Israel. The program will include Dvořák’s Slavonic Dance No. 1, Op. 46; Schumann’s Piano Concerto and Brahms’s Symphony No. 1. Tickets range from $22 – $67. Beginning an hour before the concert, walk-up tickets for students and military personnel will be available for purchase at the box office for $10. A student is anyone under age 16 or anyone 16 or older with a valid ID. Both performances will begin at 7:30 p.m.